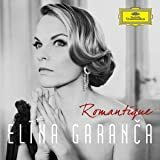 Elina Garanca's supple, seductive mezzo is aflame with the neon hues and rhythmic dash of Romany in excerpts from beguiling Gypsy roles in opera and operetta along with stand alone numbers that add to the panache of Habanera. On this album, the `dialects' derived from Gypsy musical language include Bizet's Carmen, Lehar's Zigeunerliebe, Bernstein's Candide, Balfe's The Bohemian Girl and unknown gems like Obradors' El vito (see the exceptional music video) making for a musically enlightening and delightful program. 5つ星のうち5.0A mezzo to die for! My introduction to Elina Garanca was seeing her perform Carmen which was shown live in a movie theater. I have always loved Carmen and have seen many performances going back to Risa Stevens in the 1950's. Elina was the perfect Carmen, sezy, sultry and physical. If you like the sound of a true mezzo soprano as I do then you will love this disc. Garanca's vocal quality is pure and stong with perfect pitch. She breaths life into every intonation. Once I listened to this disc, I knew I had to have all her CD's! A wonderful CD. Her voice is superb, and I have a weakness for Spanish music. Some items remind me of Victoria de los Angeles singing them. Elena is at least her equal. I enjoy listening to some opera, but would not classify myself as a die-hard enthusiast. I first found Elina Garanca on YouTube, performing Habanera. I was enthralled. Again, I am not an expert by far, but this was the most captivating performance of any aria that I have ever seen, and I have been a casual fan of opera for over 40 years! Brava, Ms. Garanca! 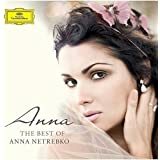 This entire album is a joy to listen to, for those who are new to opera and those who are operaphiles. 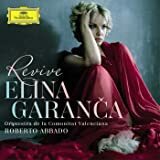 One must pity Elina Garanca, having to go through life suffering the dual curse of being a stunningly gorgeous woman with one of the world's most beautiful voices. In this exquisite new release, she offers some of her most thrilling and tender performances. In the spirit of her magnificent portrayal as Carmen, Garanca sings a series of songs and arias that recall the siren charms of gypsies, temptresses and vixens - and she does it splendidly, each piece expressed with passion, sentiment and a meltingly beautiful tone. The aria from "The Bohemian Girl" was so sensitively sung that it brought tears to my eyes. All of Ms. Garancas recordings have been remarkable but this is a special treasure. Enthusiastically recommended.